1. 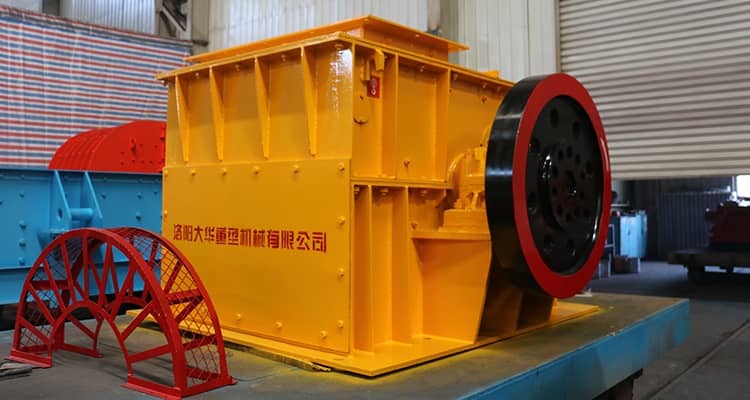 Hammer crusher is a kind of equipment with low power consumption and low cost. It has simple structure, easy operation, and high production efficiency. 2. The clearance can be adjusted according to the customer's requirement to change the fineness and size of discharged products. 3. Adoption of high wear-resistant hammer head, grid plate, and impacting plate can make the service life longer. 4. Feed water when crush the material which can reduce dust damage to worker. Previous Article：How to fulfill the Maximum Working Efficiency of Jaw Crusher? Next Article: What is Crushing and Screening Process?